MINNETONKA, Minn., USA, Aug. 21, 2018 – Syngenta today announced the expansion of the NK® soybean portfolio with 13 new varieties for the 2019 season, furthering the company’s commitment to helping growers maximize whole-farm profit potential through innovation. Developed with the latest seed breeding technology, the new varieties will help growers across the U.S. find the best fit and value for their unique conditions. All NK soybeans start from one of the industry’s largest and most diverse germplasm pools. Leveraging significant investments by Syngenta in research and development, NK breeders are able to apply an award-winning system of data analytics to pinpoint the high-performing genetics that will provide greater value to growers. From there, NK breeders tap into a state-of-the-art trait conversion capability that brings the latest, most desirable trait packages to market with the newest genetics. An adaptation of traditional breeding practices, this process significantly shortens the lifecycle of soybeans, with growth stages like emergence occurring an average of three days after planting, VC one week after planting and V1 just 12 days after planting. An entire season is routinely shortened to less than three months, with the capability to go from seed to seed in as little as seven weeks. As a result, breeders are able to continue advancing genetics while introducing new traits. NK soybeans provide growers additional value through rigorous seed quality management, as well as a competitive financing offer. Every step of the NK seed production process is geared toward maintaining the highest quality and purity to ensure that the full yield potential of the seed is maintained. From the seed breeder to the final seed delivery, testing plays a crucial role. In addition to operating three internal quality assurance labs and utilizing two third-party sites, Syngenta regularly tests all NK seed lots on a range of factors. Additionally, growers may benefit from a 0% financing offer available for NK seed for the 2019 growing season. For details on this offer, or for more information on the new NK soybean portfolio, contact a local NK retailer and visit www.NKsoybeans.com. 1 In 2017 FIRST test results, Pioneer® brand varieties secured 27 and Asgrow® 17 top three finishes, respectively. NK offers growers a science-driven boost to their seed portfolios. Our researchers tap into “big data” techniques to drive innovation that helps growers spread risk and maximize whole crop return. Plant the Seeds of ChangeSM to see the difference that innovation can make. No product recommendation by FIRST is implied. ©2018 Syngenta, 11055 Wayzata Blvd., Minnetonka, MN 55305. NK®, Thrive® and the Syngenta logo are registered trademarks of a Syngenta Group Company. All other trademarks are the property of their respective owners. 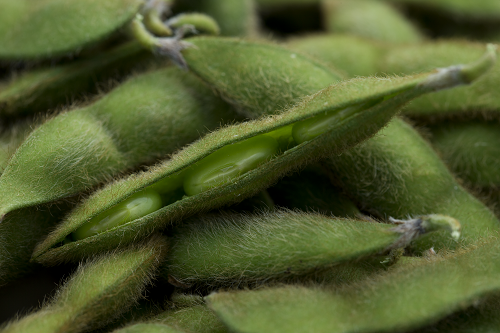 NK® soybean varieties are protected under granted or pending U.S. variety patents and other intellectual property rights, regardless of the trait(s) within the seed. The Genuity® Roundup Ready 2 Yield® and Roundup Ready 2 Xtend® traits may be protected under numerous United States patents. It is unlawful to save NK® soybeans, Genuity® Roundup Ready 2 Yield® or Roundup Ready 2 Xtend® soybeans for planting or transfer to others for use as a planting seed. Roundup Ready 2 Yield®, Roundup Ready 2 Xtend®, Genuity®, Genuity and Design and Genuity Icons are trademarks used under license from Monsanto Technology LLC.